1. Go to BlackBerry Push Service Evaluation Form and register for the Blackberry Push Service. 2. Click the link in the description of the Code signing Email field, you will be forwarded to BlackBerry Keys Order Form. 3. 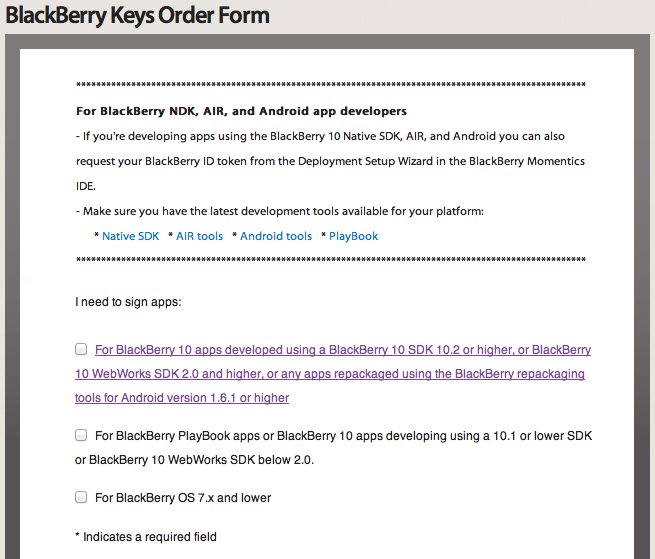 In the BlackBerry Keys Order Form click on the first checkbox (“For BlackBerry 10 apps developed using a BlackBerry 10 SDK 10.2 or higher…”). 4. You will be asked to sign to your BlackBerry ID. 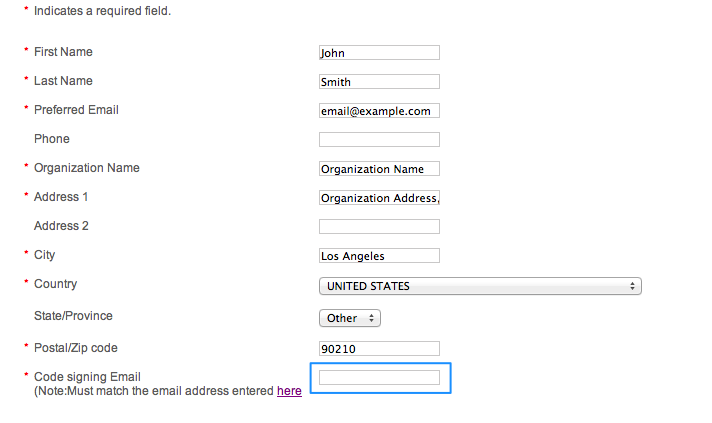 The email you are using for signing in to your BlackBerry ID is the same you have to use in the **Code signing Email** of the BlackBerry Push Service Evaluation Form. 5. Back to the first BB Push Service Evaluation Form, choose Blackberry Internet Service in the Transport for Pushes dropdown. 6. Choose BlackBerry Push Essentials in the Push Service Type dropdown. That’s it, just submit this form and wait for the email from BlackBerry with settings that you will need to use during the integration.